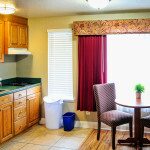 This suite features a newly remodeled kitchenette, separate bedroom, living room area and full bath. 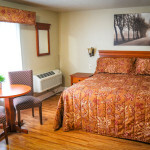 The bedroom includes a luxury king size bed, desk, dresser and chairs. Make yourself at home in the spacious living room with comfortable seating, as well as a queen sized pull-down murphy bed. 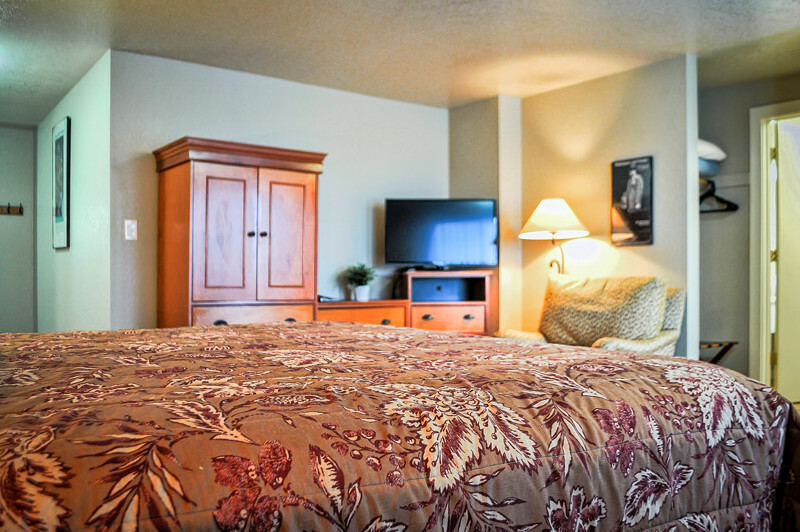 To view this room’s availability & rates, go to the “Reservations” section at the top of this page and click the “Check Availability” button. 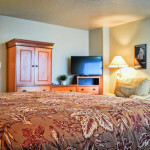 For assistance call reservations at 800-547-4741 or Tel. 541-488-2151. 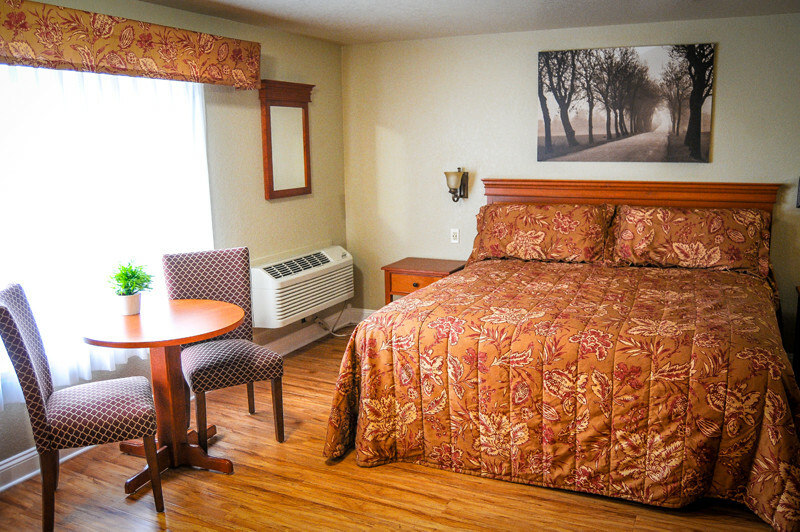 You’ll feel almost like home in this king bed. Plenty of space available for this large king room. 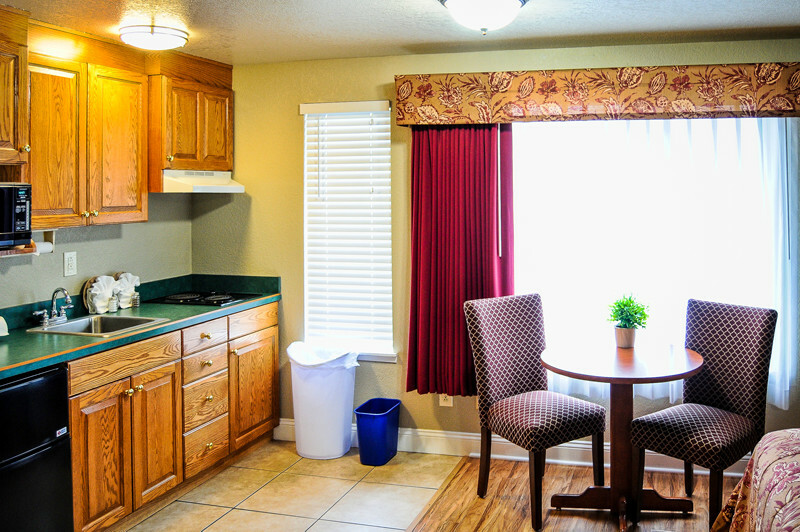 The kitchenette comes with a fridge/freezer combo, microwave and a smell sitting area for dining.